This state of the art skin resurfacing laser can gently and safely treat signs of aging and sun damaged skin. One Pearl treatment can be compared to 3 IPL/Photofacials with similar results to a CO2 with significantly less downtime and much less risk of skin pigment or scarring issues. Ready for a big time resurfacing: you are ready for the Pearl. IPL/Photofacial is a great way to improve overall skin tone, especially sun damaged skin. This device can treat any sun damaged skin with brown spots, as well as diffuse skin pigmentation, as long as it is not melasma. 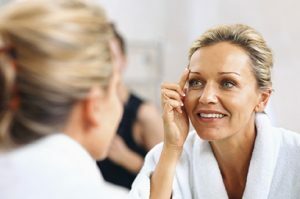 IPL is a great way to stimulate collagen in the skin too! This alexandrite laser treatment is best for well defined dark spots anywhere on the body.